SpaceX is planning both low- and high-altitude tests of the vehicle. During the low-altitude tests, taking place as frequently as three times a week, the vehicle will ascend to no more than 500 meters on flights lasting about 100 seconds. High-altitude tests, taking place weekly, will see the vehicle as high as 5,000 meters on flights lasting up to six minutes. The application doesn’t name the vehicle or provide other technical details about it. 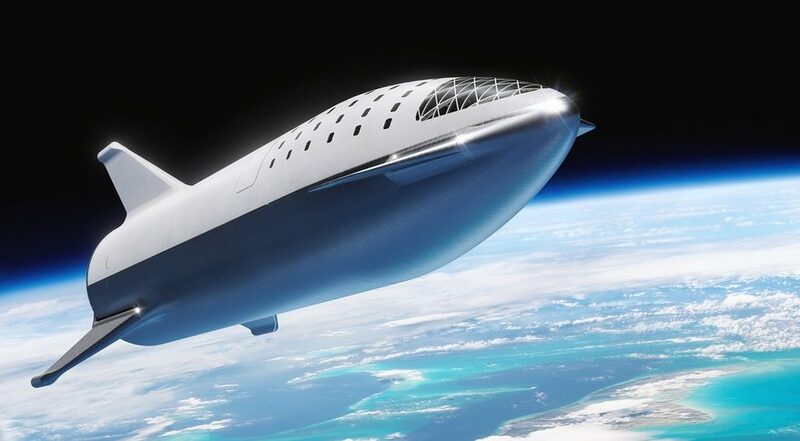 However, the leading candidate for this vehicle is the upper stage, or spaceship, portion of SpaceX’s next-generation reusable launch vehicle, officially known until earlier this week as the Big Falcon Rocket, or BFR. In a series of tweets late Nov. 19, SpaceX Chief Executive Elon Musk announced that the BFR’s upper stage would henceforth be known as Starship, while the lower, booster stage would be called Super Heavy. Musk and other SpaceX officials have previously said that initial “hop” tests of what’s now called Starship would start in late 2019 at the South Texas site. The application didn’t state when those flights would begin, but the company said it expected to need the experimental license for two years. If this is indeed an experimental version of Starship, the planned tests appear to parallel the company’s development of a version of its Falcon 9 rocket that can land and be reused. Two development vehicles, called Grasshopper and F9R Dev and based on the Falcon 9’s first stage, flew a number of relatively low-altitude test flights at the company’s engine test facility near McGregor, Texas. Those tests, which ended with the loss of the F9R Dev vehicle during an August 2014 flight, demonstrated the ability of the vehicle to make powered landings, enabling landings of the Falcon 9 to begin in December 2015. Those earlier Grasshopper and F9R Dev flights also required from the Federal Aviation Administration’s Office of Commercial Space Transportation an experimental permit, a streamlined version of a launch license intended for suborbital tests of reusable vehicles. SpaceX noted in its FCC license application that it is also applying for an experimental permit from the FAA for these future tests.